Paradox is one of the most influential parties in London. It has been the point of reference for the most demanding clubbers for over the last 7 years. A mix of the hottest music will lead you to a mystic journey through Disco Vibes and soul/electro delights, spinning heady dance-floor, leading House and Techno music to their perfect point of contact. 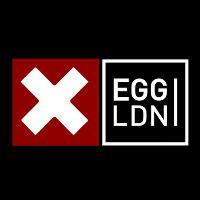 Egg London is a strictly 19+ venue. Club scan is now installed in the venue at the front door, which means everyone attending Egg must have a valid form of photo ID to present to be scanned on entry. The accepted forms of ID are: unexpired passport, driving license, provisional driving license, photo id cards featuring the pass hologram. Photocopies, photos or screenshots of IDs are not accepted.